Browse Diamond Essence’s large selection of exquisite simulated diamond rings set in precious metals. 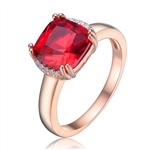 The brilliant quality imitation diamond rings are offered at a fraction of the price of mined diamond rings. Find the perfect simulated diamond engagement ring for your loved one or purchase a sparkling solitaire ring to celebrate a special occasion in your life. Diamond essence simulated diamond rings are judged similar to mined diamonds in the four Cs: color, clarity, cut and carat weight. Color: The most sought after colorless diamonds are classified with a D. Diamond Essence simulated diamond rings are always equivalent to a classification D. Clarity: Diamond Essence imitation diamond rings are virtually flawless. Cut: The simulated diamonds used in Diamond Essence’s artificial diamond rings are always perfectly cut to the exacting standards. Carat Weight: Diamond Essence simulated diamond rings are always priced the same per carat, unlike mined diamond rings which are often more than double the price for a two carat diamond. Diamond Essence offers artificial diamond rings in a variety of different shapes and sizes. 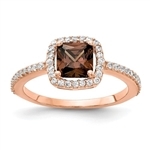 View the selection of rings by metal, price, occasion, or stone color and find the ideal ring in a matter of minutes. The Diamond Essence simulated diamond rings come in 14k solid gold, sterling silver or white gold. Click on each imitation diamond ring to view the description, price and availability. Diamond Essence Simulated Diamond Rings prides itself with stunning ring designs . High end simulated diamonds compete with the mined diamonds through their flawless finish and elegant cut and also affordable price.